Label inspiration Alex "Mango" Golovanov, one of the leaders of the melodic progressive revolution in recent years, returns to Silk's parent imprint for the blissful, end-of-summer classic "Here We Go." In the past few years, Mango has worked with various top-tier labels (Armada, Vandit, Enhanced) and has reached the Beatport charts in the genres of progressive house, trance, and chillout on numerous occasions, including his recent "White Tiger" remix (Silk Royal). In the Original Mix, delicate chords propel the track to the main break, which offers an innovative, hynopotic new lead synth. As the track nears its end, various melodic layers lend the track a sort of "heatstroke" effect, the sonic equivalent of a long day in the sweltering sun.On remix detail, Silk is also honored to welcome Australian melodic house sensation Jaytech to its ranks. 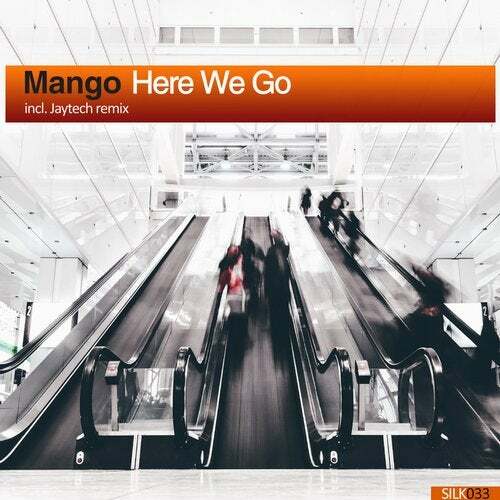 In the midst of a breakthrough year, highlighted by numerous top-charting productions (Anjunadeep) and international DJ gigs, Jaytech once again exhibits his dancefloor sensibility and subtle, yet refined songwriter's touch. His remix perhaps would be better classified a "rework," as completely new melody lines and (more edgy) atmospheric effects have been added here. Additionally, in the main break, fans will be delighted to hear the saccherine, high-octave plucks of one of Jaytech's signature synths, which greatly contributes to the excitement of the classic progressive house build and drop to follow.